Open My Eyes is a song from American reggae group Soldiers of Jah Army, also known as SOJA. 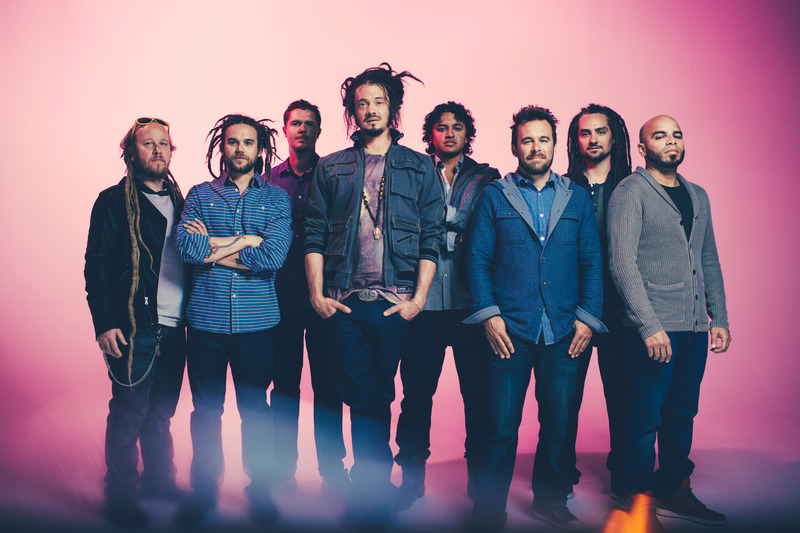 Featured on their 2006 album Get Wiser, the song’s slow, smooth reggae groove is infused with a powerful message about loving life no matter how rough it gets. Now that we’ve learned a little about the group, let’s discuss their music. SOJA’s music interests me. Their earlier albums contain many classic reggae elements: slow songs with melodic basslines and impressive lead guitar on top of methodical rhythm guitar. Not to mention the keyboard, trumpet, and saxophone work, which is a key component in most roots reggae music. The music isn’t the only thing that makes the group’s earlier work reminiscent of classic roots reggae. The message in the music is also an essential part of it. For SOJA, the message has always been important. This is common with reggae artists who take a conscious approach to their work. Ziggy Marley, for example, has stated that he focuses more on the message in his songs than the music or the quality of his singing. The message in SOJA’s earlier work is on par with what you’d expect from conscious reggae: in a cold, chaotic world, we need peace and understanding. Their lyrics blend social consciousness with consciousness of Self and the recognition that the world can’t change until we do. Listening to their later albums, I notice a subtle shift in the music and the message. The music seems to indicate that the group no longer feels the need to play in a strictly-reggae style. Reggae is still the foundation upon which they build their songs, but they’ve branched out and taken a more creative, sincere approach. Their earlier albums contain hints of this but consist mostly of a modern (yet still classic) roots reggae sound. Their later work shows they aren’t afraid to push the boundaries and, while building upon a traditional reggae foundation, take the music in different directions. You can only stick with one thing for so long. At a certain point, you have to grow as an artist and human being. SOJA seems aware of this, and their later albums are testaments to their willingness to change up their sound and go for a wiser yet more relaxed vibe. Open My Eyes is from their third album, released 11 years ago. This song showcases the style that made modern reggae fans flock to SOJA, but here, we’ll focus on the lyrics and the message. Sit back, relax, and listen to this great song as you read about it. To find the truth I know that is there. I’m glad to wake up, I’m glad to be here. The song’s core message is that we can be aware of the pain and heartbreak in the world yet still love life. This sense of freedom is available to us all, but we’re usually too concerned with the bad stuff to notice. If we let ourselves drown in negativity, we hide from the mental, emotional, and spiritual freedom we could otherwise have in abundance. We need understanding on all levels. Individually, we need to understand how the mind amplifies our problems and keeps us from recognizing the freedom that’s always here. Collectively, we need to understand that most of us are well-meaning people doing what we think is best. A simple understanding of what we have in common could change the world. It could help us stop hating each other, focus on our commonalities, and address the countless problems in the world. Then, as the chorus suggests, “we’ll be alright”. The other message here is that our freedom as living human beings is inalienable. No matter how hard someone fights to take our freedom, existence itself is freedom. If you’re alive, you’re free to some degree. Being thankful for life will help you feel freer and more alive than ever. I’ll never regret one minute of life. I’ve walked through the dark, now I seen a light. This verse suggests that there’s a lesson in everything. Tears can teach you as much as joy, and at the end of it all, the best we can do is to be thankful for what we’ve experienced and learned. If you’re ever forced to confront your mortality, you’ll realize you won’t be here in your current form forever. Like everyone else, you will eventually leave this world. If you express gratitude and focus on learning from life (and teaching what you’ve learned), you’ll have done something meaningful with your 100 years. Sometimes, stronger than me, and hard to bear. You don’t have to believe in God for this song to be hard-hitting. Regardless of your beliefs or lack thereof, you are here on this planet. To me, that means you’re meant to be here. Bad things will happen along your journey and stresses will pile up into the sky, convincing you that it’s all hopeless. Remember through it all that you’re here for a reason. Your existence is no accident, so try to do something great while you’re here. This song is a reminder that that no matter how bad things get, life is always worth living. In a world afflicted by war, terrorism, mass shootings, mass hate, and mass soullessness, this is a message everyone should hear. Especially those with depression who struggle to see the light. If you’re struggling, let this song speak to you. Perhaps shed a few tears over its deep, meaningful lyrics, and let it heal your deepest wounds. I believe this is the purpose of music: to bring us to a place where we can acknowledge the light and the darkness so we can finally move forward. SOJA’s latest album, Poetry in Motion, will be released October 27th and is available for preorder here.